Today’s economic report reminds me of the Hitchcock flick “Strangers on a Train. Reposted from Bruce Krasting’s blog with his permission. 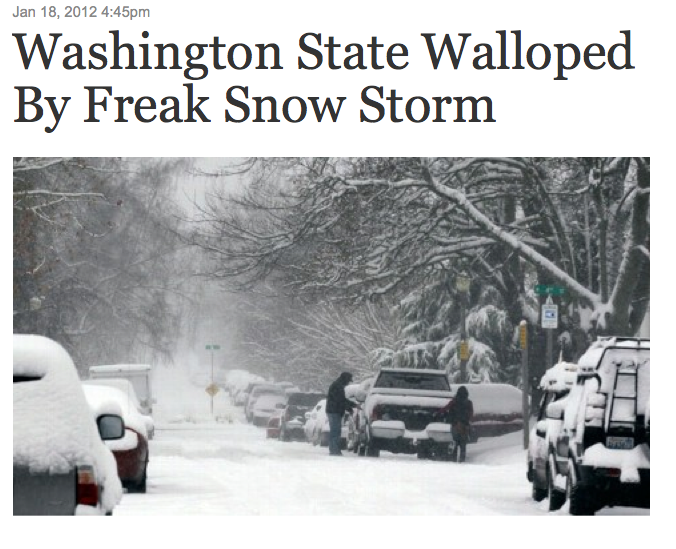 You may have heard that Seattle got socked by a big snowstorm. There were winds as high as 110mph. It was unusual for this to happen. It set some records. I took a look at the storm that bumped into the Pacific North West. What happened in Seattle is a sideshow. 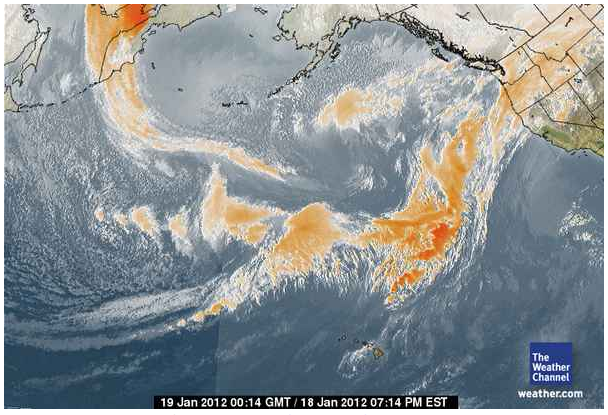 The storm in the Pacific is enormous. Only a fraction of this beast has hit land so far. The following image shows that bad weather stretches all the way to Hawaii. The experts haven’t figured out where this storm is headed. It might head north, it might stay south. If it’s the later, then it is going to beat up Central California and then head east bringing a ton of snow with it. As “events” go, this one is worth watching after for the next couple of days. A good discussion Here.